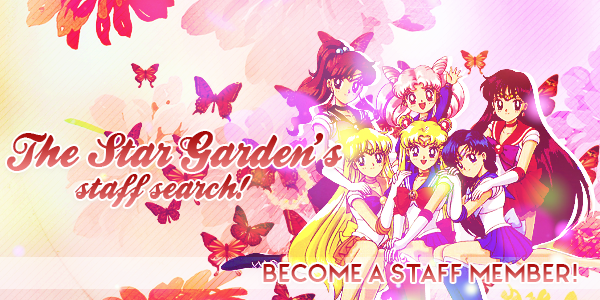 The Star Garden is a sailor moon forum dedicated to every version of sailor moon. We allow all members here on our forum. As a guest, you cannot view certain forums or the Cbox. Don't be afraid to join us! As a new forum, we're in need of members! We have a fun system in place that rewards members for inviting their friends! If the member is active, they'll earn a signature.